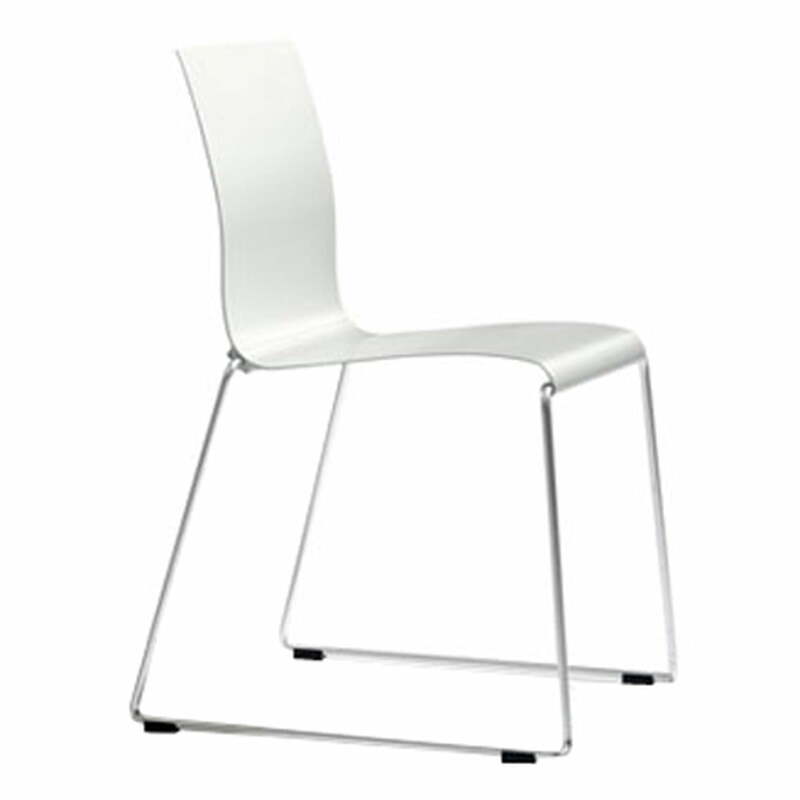 “Less is more” is the secret of the Sting 030 chair. 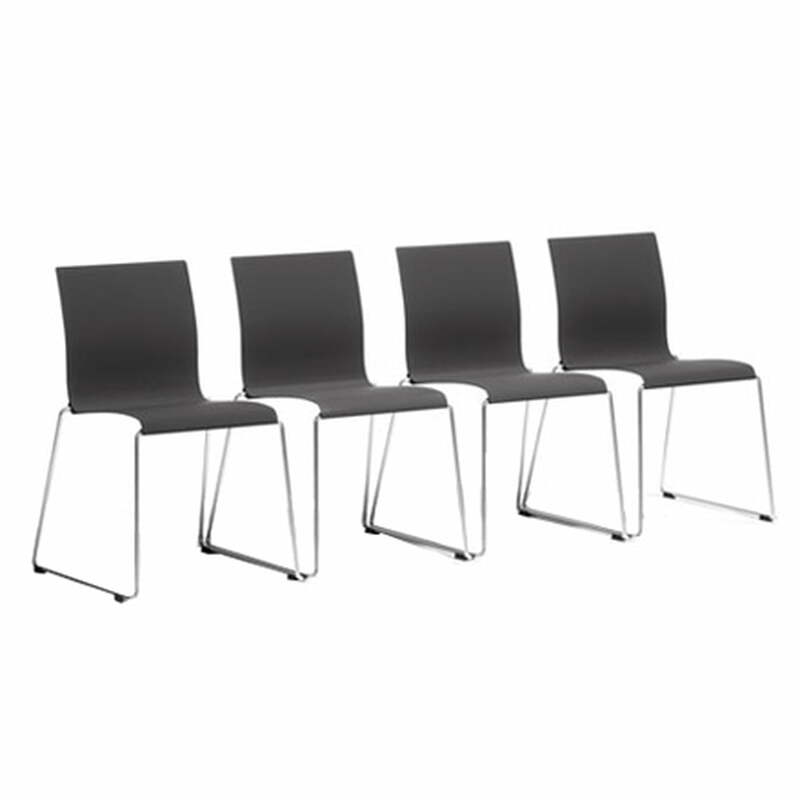 The design is reduced to the essentials with a high level of durability and functionality at the same time. Stefan Borselius & Fredrik Mattsson created this stackable chair for the Swedish manufacturer Blå Station in 2003 and won the coveted “red dot award” for it in the “product design” section in 2004. The interplay of innovative materials and industrial processing had already inspired Bauhaus design. 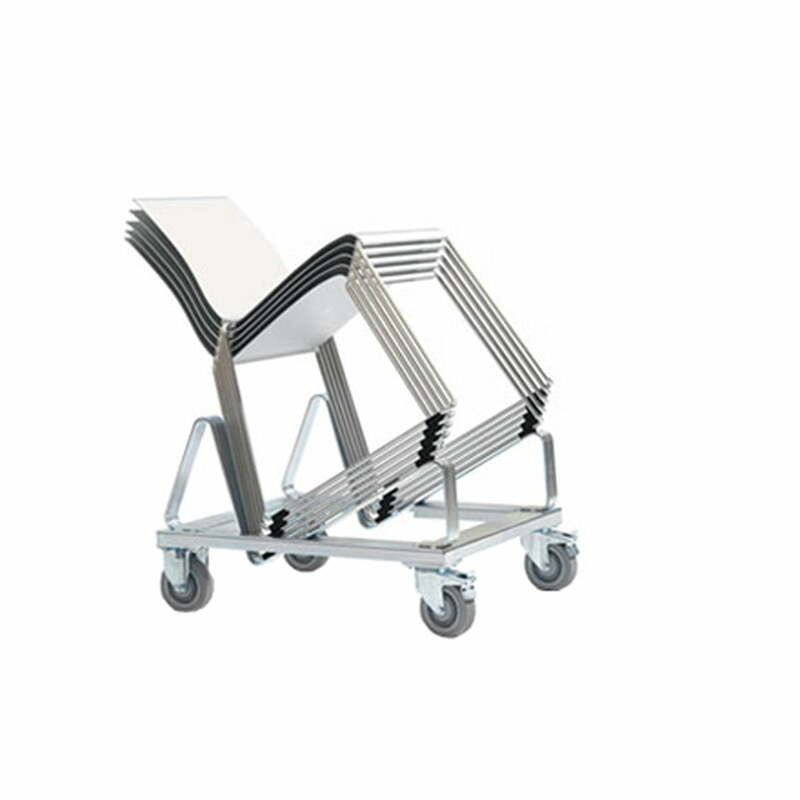 Following this tradition and almost purely industrial Sting consists of aluminium, stainless steel and rubber and is an aesthetic and delicate lovely chair. 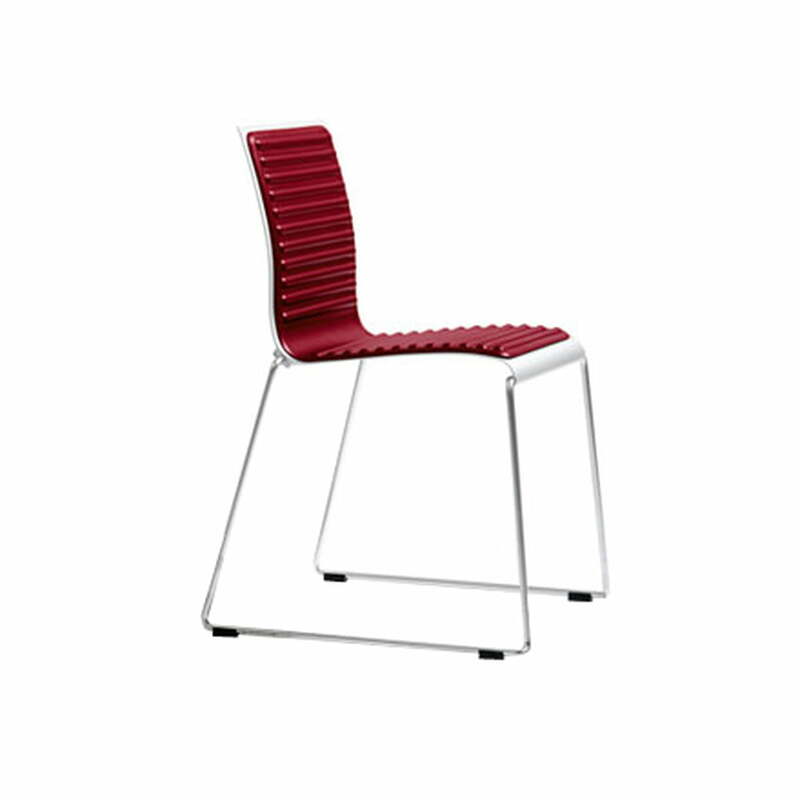 Above all Sting is fascinating through its type of production as the chair and back are first of all made of an extruded aluminium profile. The finished pieces are simply, virtually like out of a tube, pressed out in this extrusion processes which the designers developed in cooperation with aluminium industry engineers. The connection between seat, backrest and frame is elegantly “invisibly” solved. The seat shell of anodised aluminium, the frame of stainless steel (V4A, round steel, solid). 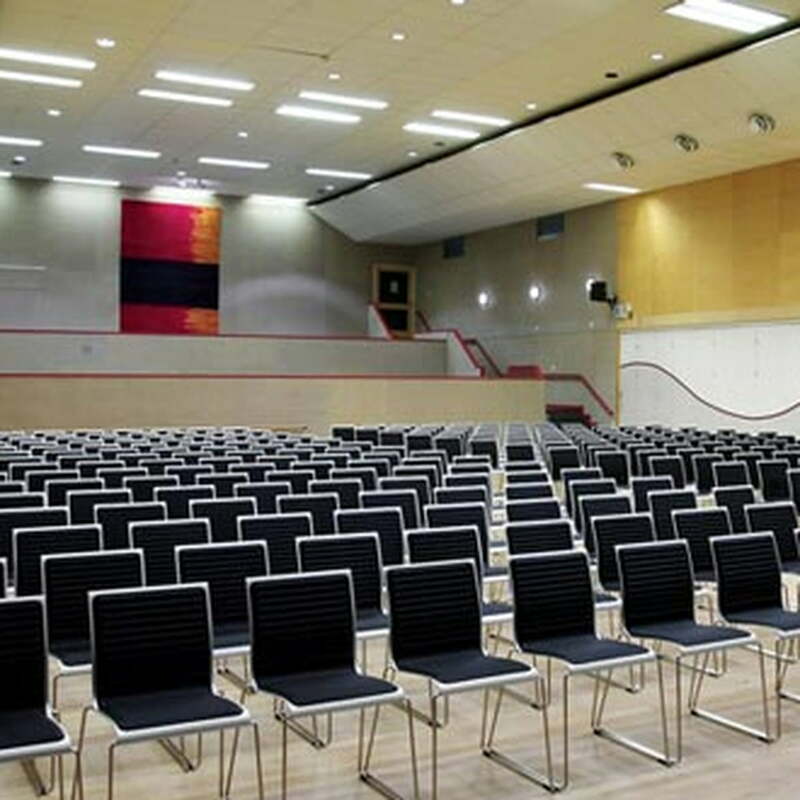 Thus above all robust materials were chosen which stand guarantee for usage indoors as well as outdoors and are easy to clean. Sting as a completely metal chair is pre-destined for fire-sensitive zones. 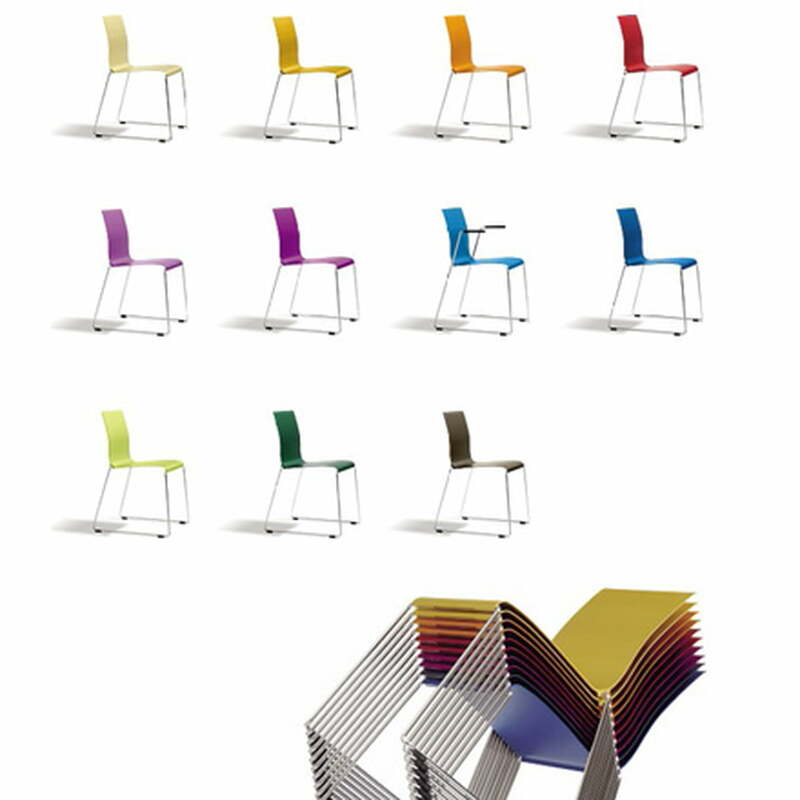 The speciality of Sting is stackability (up to 50 pieces): The chairs are very narrow and even when mixed can be stacked no matter if they are upholstered, with or without armrests or with row connectors attached. Every stacked chair stands on the runner of the chair under it, not on the seat. 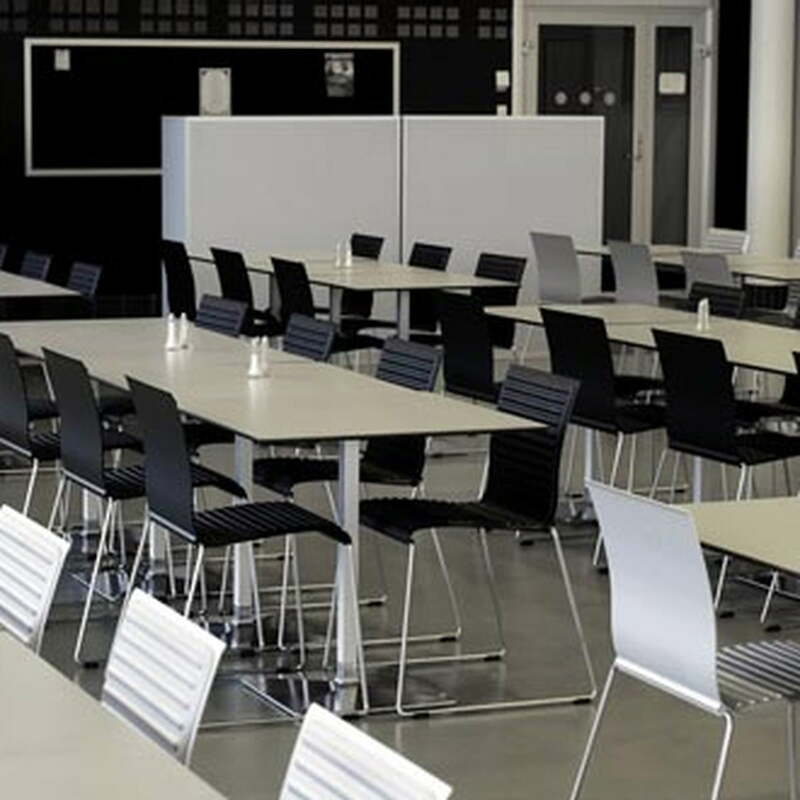 In a conference room, in the cafeteria or at home, Blå Station offers an aesthetic and functional solution for nearly every place and occasion. CONNOX ist eine beste FIrma! Die Stühle ist schön von CONNOX gepackt worden. Ich wohne in New York und Ich habe noch nie so einen bemerkenswerten Kundendienst in den USA erlebt. Ich würde allen Freunden CONNOX in New York empfehlen. Die Stühle sind großartig. Schön, leicht, elegant, modern, chic und robust. Danke Connox!